Samsung is bigger than Apple. can you believe it ?. maybe. i was wondering if you don`t like believe it. its status as the world’s No. 1 corporate IT brand for the second consecutive year. 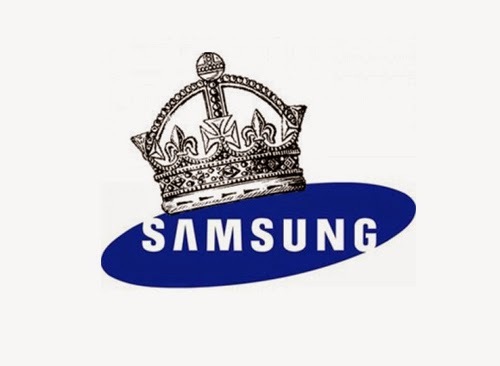 In a two-month survey conducted by Strategy Analytics in December and January on 6,000 consumers in the United States and Europe, Samsung proved to be the overwhelming leader. Samsung, which scored 57.2 points, was followed by Sony and Microsoft. perhaps hinting that Samsung is way ahead of the smartphone game in the global market, the publisher of the survey results said. Samsung has, over the past few years, emerged as the top-selling smartphone maker in the world market, placing Apple at a distant second with the gap increasing by the year. headquartered in Samsung Town, Seoul.